NT01 Features and Benefits. Wheels and/or tires that have been mounted. Spacers/Adapters that have been bolted to a vehicle and/or wheels. High modulus rayon carcass, reinforced sidewall and the advanced body construction combine to increase stability during braking, cornering and straight-aways. 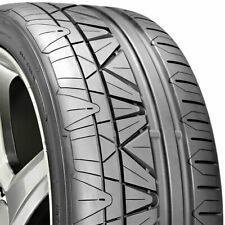 Toyo Proxes R1R. 4 Tires (Wheels Not Included). TREAD WIDTH WEIGHT PER SINGLE TIRE REVOLUTIONS PER MILE TREAD DEPTH MORE SPECIFICATIONS. MANUFACTURER PART NUMBER. Toyo Proxes R1R. 2 Tires (Wheels Not Included). TREAD WIDTH WEIGHT PER SINGLE TIRE REVOLUTIONS PER MILE TREAD DEPTH MORE SPECIFICATIONS. MANUFACTURER PART NUMBER. PURCHASING POLICIES. Notice Any rims shown in images are for demonstration purposes only. Tire ConstructionRadial.